LG is gearing up to launch yet another smartphone in its Q-series, the LG Q9. We recently revealed the first renders of the phone. The first report about the Q9 surfaced back in September 2018 when the spec sheet of the device surfaced on the internet. The primary render of the phone looks neat making us believe that it could be an official render. It shows the phone with a notch at the top. Alongside, we have also got to know a few key specifications about the upcoming smartphone. 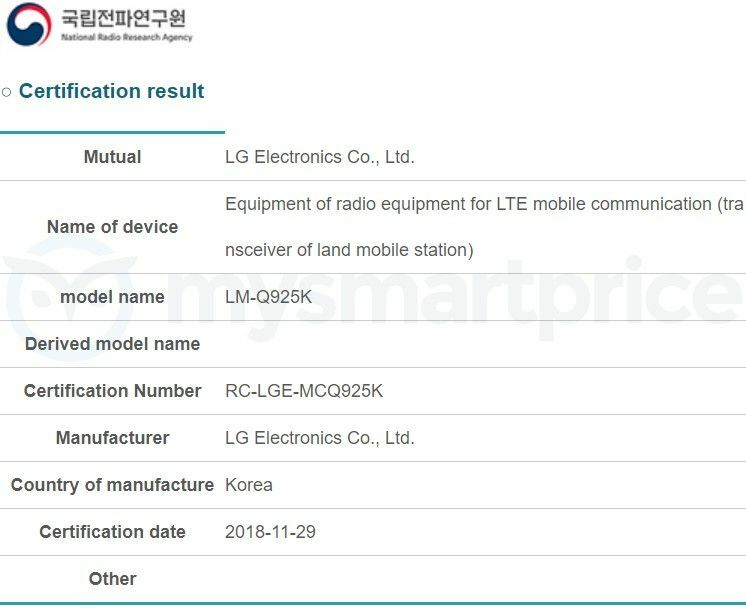 We recently reported LG’s new handset in the Q series – the LG Q9 – getting certified at the National Radio Research Agency (NRRA) in South Korea. The listing on that particular portal mentioned a model number LM-Q925K. Now the same model has received approval at South Korea’s SAR along with other variants labelled LM-Q925L, LM-Q925S. There will likely be more than one variant of the handset and this explains the appearance of the new models. We have previously leaked specifications and renders of the upcoming handset that seems to fit in the upper-mid-range category in LG’s smartphone portfolio. There’s still no official information on the launch or release of the handsets but we expect that to happen soon. For more info on specs and renders, scroll down. 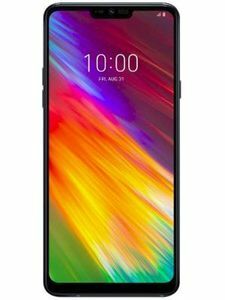 Currently, LG has just two Q series phones in its affordable portfolio – the LG Q7 and Q8 besides some region-specific models like the LG Q Stylus. Now, it seems the Samsung rival will be announcing a new LG Q9 shortly on its home soil. The NRRA has just approved an LG model – LM-Q925K on its portal. Quite evident from its model number, the handset is likely the LG Q9. We revealed the first renders of the handset that will feature a notch design, the first Q series phone to do so. The LG Q9 is expected to be a more premium offering than the LG Q7 and Q8. It could reportedly sport a 6.1-inch Full HD+ screen, an octa-core Snapdragon 660, 4GB of RAM and 32GB or 64GB of internal storage. With the NRRA certification now complete, the handset could be official soon. As we mentioned above, the LG Q9 will have a notched display with an aspect ratio of 19:9. 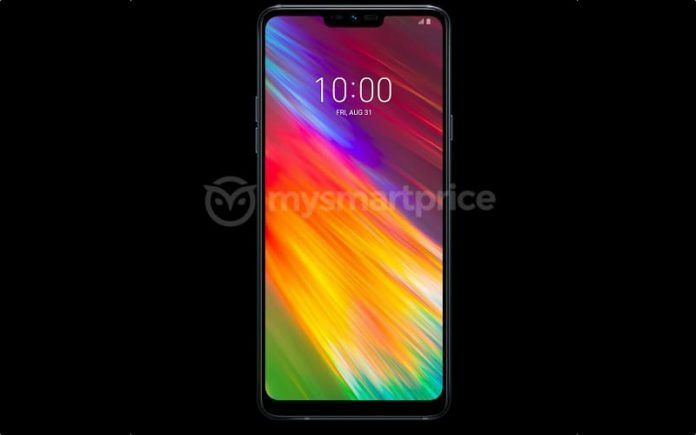 Some of the previous reports about the LG Q9 hinted that it may feature an 18:9 aspect ratio, but the leaked render suggests otherwise. Design-wise, we can compare the LG Q9 with the LG G7 Fit that was launched in August 2018. Concerning other specifications, the LG Q9 is expected to debut with a 6.1-inch Full HD+ display. The phone will be powered by an octa-core Qualcomm Snapdragon 660 AIE processor. It will come with 4GB of RAM coupled with 32GB or 64GB of internal storage. We can expect the phone to also feature a microSD card slot for the further expansion of storage. Although the rear panel of the phone has not been revealed in the render, we expect the Q9 to come with dual camera setup and a fingerprint sensor on the rear. The front-facing camera will be integrated inside the notch geared with Face Unlock feature. Connectivity-wise, the LG Q9 will include all the options that we see on a mid-range device including 4G VoLTE, Wi-Fi, GPS, A-GPS, and others. On the software side, the phone will most likely run Android 8.1 Oreo out-of-the-box with an additional layer of LG’s custom UI on top. A 3550mAh battery is expected to complete the package, which should work fine with Snapdragon 660 AIE processor. LG is yet to give an official statement regarding the development of the LG Q9. Even though we now have the first render out in the open, there is no official word from the company to solidify the report. We at MySmartPrice will be keeping you updated whenever LG comes out with a statement concerning the LG Q9.